Although green architecture and sustainable houses was once viewed as extremely unconventional, it’s becoming a lot more acceptable and popular with the ever-growing eco-friendly people on our planet. The public and regulative agencies are beginning to acknowledge the actual benefits of Sustainable Houses and this method of building. The concept of going green in the field of construction usually tackles sustainable building, sustainable architecture, green building, or simply being environmentally friendly. There is a definite set of principles and methods in green construction to ensure that the environment is protected and that the materials used in building houses and other structures came from sustainable and renewable sources. When we talk about green construction or green architecture, it covers the phases from designing up to the construction, occupancy, maintenance, renovation and even to the demolition of the structure. Green architecture aims to work in harmony with the natural features that surround the location of the project, to use construction materials that can be easily grown or that have been recycled and to maximize their usability for sustainable houses. Green architecture should always keep the environment in mind when designing. Listening to a client and transforming their needs into a workable, energy efficient and environmentally friendly design is a skill and one that you should ensure your choice of green architect has in abundance. Green architecture has a number of benefits. Not only do you get to help the environment but you can use it for marketing purposes. Many people want to do business with companies who are being environmentally conscientious. Green architecture and sustainable houses when followed honestly saves you money, but more importantly saves the environment. Keep this in mind when making your decisions. One of the main standpoints of green architecture is to encourage conservation of water. Minimum consumption of water is to be adopted while building green homes. Ideally the toilets, faucet aerators, shower-heads should be chosen with great care to minimize the water usage in these houses. Another method used in construction of green architecture is thermal mass. Insulated Concrete Forms (ICFs) produce a framework when locked together much like Lego bricks. This framework forms a permanent and integral part of the building and is pumped full of concrete that has been composed and cured to reduce its thermal conductivity. This produces the thermal mass required to reduce the effects of outside temperature fluctuations on the ambient temperature inside the building thus reducing energy bills. Home owners of sustainable houses should also be encouraged to grow drought resistant plants in their gardens. If you already have a building, you can still benefit from green architecture with some basic remodeling. This includes looking at ways to conserve water, conserve energy and integrate some sustainable materials into your building. Being eco-friendly is the way of the future. There are many ways green architecture and sustainable houses can be followed and its not just about solar power. 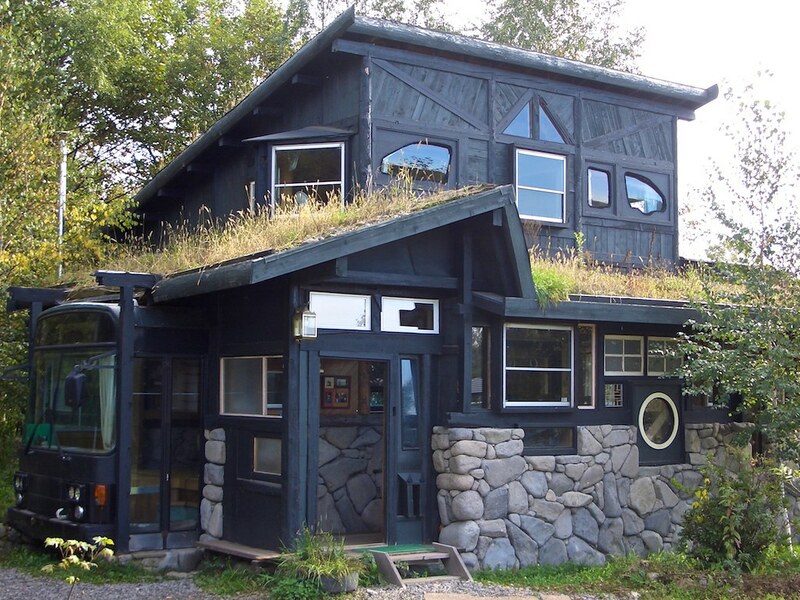 There are no limits to the recycled materials that can be used in green architecture designs. Reclaimed wood can be used for flooring, trim and exposed wood ceilings. Recycled rubber tire chips can be used in landscaping. Even broken glass fragments are being used inside walls for insulation. When you build a building from the ground up, you get more say as to the green architecture. More buildings are being created with a green emphasis and this is making it easier to find new and innovative designs as well as more sustainable materials. More companies than ever before are targeting builders with products that are environmentally friendly. Saving energy and water is the main drive of most Governments and measures are being taken to optimize their usage. A portrait of the built environment at Island Wood. We meet the architects and the designers. 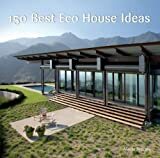 I hope you have found this article – Sustainable Houses – informative, and you will share your own experiences below in the comment box and please take the time to click on the share button, many thanks; see more articles on The Daily Green Post home page. I think green building number should be increase in worldwide and your post really helpful in it, thanks for sharing it.